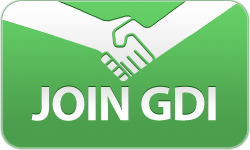 Learn how to add a ready-made GDI banner, ad or Virtual ID Card to your WordPress site. GDI’s Team Bonus is bigger than ever. You can learn all about our past bonus winners here. Are you on a team? If not, you could be missing out on this easy bonus. Watch the video to learn how to join a team or create your own.